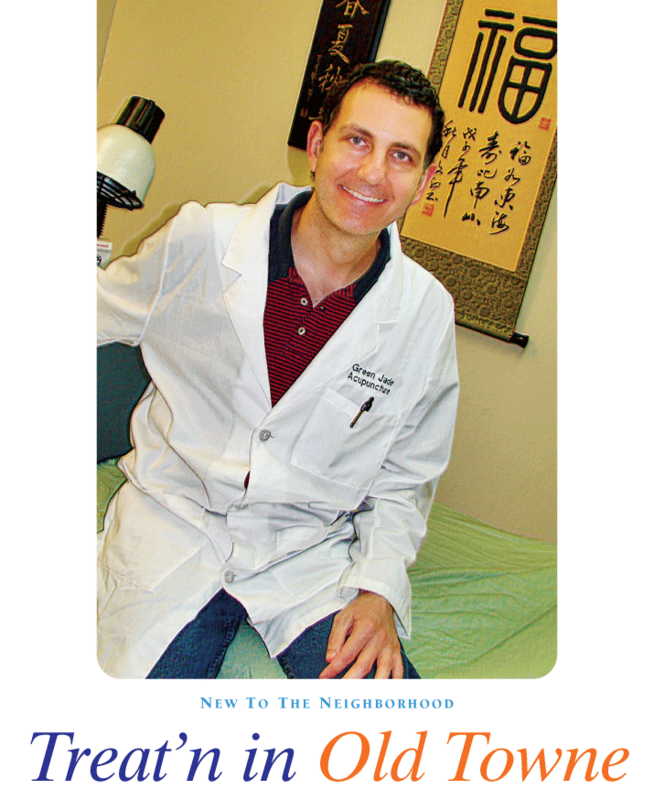 Acupuncturist Chris Bruckner specializes in pain relief at his newly opened Green Jade Acupuncture. Located on East Chapman within walking distance to the Plaza, the office includes four treatment rooms for massage and acupuncture. Having previously worked in the pharmaceutical industry for many years before becoming a licensed acupuncturist, Chris Bruckner knows firsthand the pros and cons of Western medicine. After discovering the benefits of acupuncture during his own personal health struggles, Chris decided to leave the pharmaceutical industry altogether and learn the ancient Chinese practice. After four years of intensive study at schools in San Francisco and Anaheim, the Santa Ana native has now opened Green Jade Acupuncture at 707 E. Chapman, offering effective and holistic treatments that enhance the body’s ability to heal itself. Paying homage to the Chinese Year of the Horse, Chris’s office features lovely Asian décor, including hand-carved wooden chairs in the waiting room. With four treatment rooms, the office also accommodates a second acupuncturist and a massage therapist on site. Chris also offers Chinese herbal formulizations and nutritional counseling. Suffering from chronic digestive problems for more than 10 years, Chris found little success with Western doctors. He finally tried acupuncture. Within three weeks of treatment, his symptoms subsided, and he soon became an advocate of alternative medicine. Located within walking distance to the Plaza, the studio provides the ideal “hometown” office that Chris had always envisioned.